Lots of great learning and music making happened at this summer’s quartet seminar! For the first time, Cadenza Academy and YOSA collaborated to present the one week Quartet Seminar for student quartets, coached by us. We had eight quartets this year, ranging from students playing quartets to the first time to old pros. Each group prepared their parts ahead of camp, rehearsed each day and received a coaching from a member of the Camerata San Antonio quartet. Each day after lunch, the groups were reconfigured with different personnel and repertoire to mix things up and keep it fresh, including one more rehearsal and coaching with a different coach. Eurhythmics and listening lab also helped give everyone a chance to manage their energy (either getting some rest or get some excess energy worked out). Each student performed in daily master classes at least once and each quartet performed on one of two concerts on the final day! On April 24, 2017, we hosted four student string quartets in our annual master class. 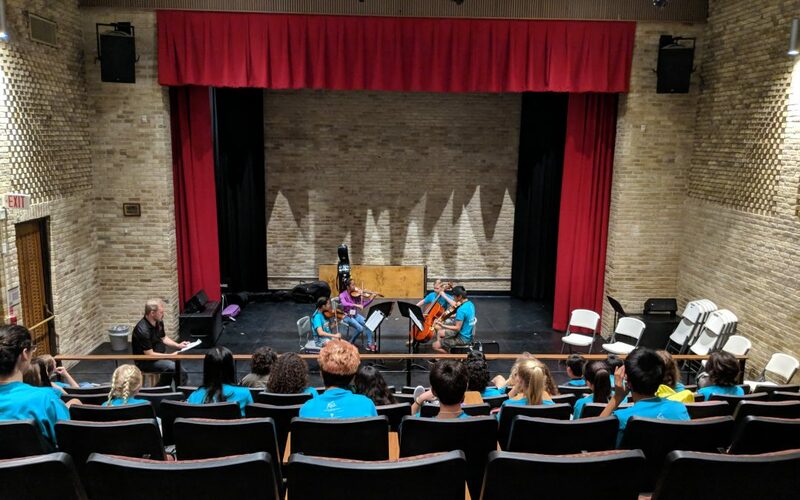 Talented student groups performed well-prepared quartet movements by Borodin, Ravel, Grieg and Prokofiev in the Seddon Recital Hall on the campus of the University of the Incarnate Word. 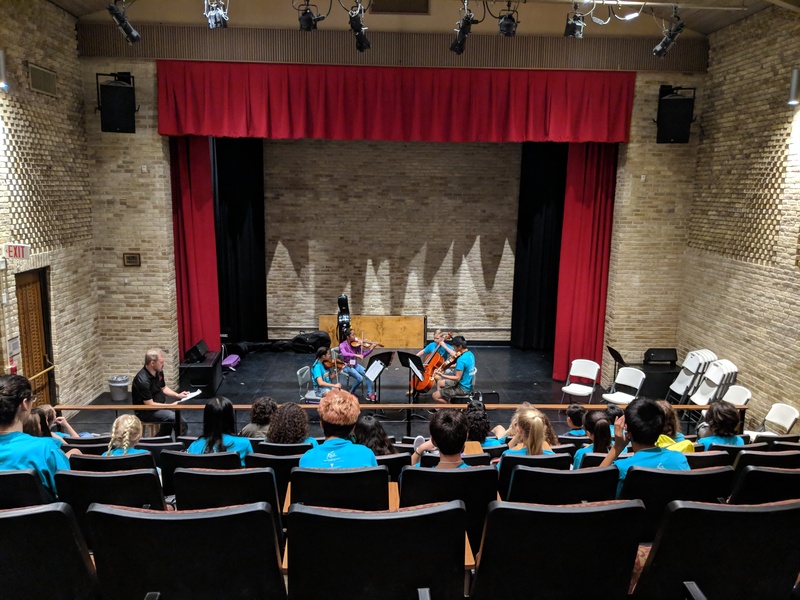 Each member of the Camerata San Antonio core string quartet worked with the students to help make their performances even better. All this, in front of an audience of interested patrons! Our FREE annual string quartet master class is coming up soon! April 24 at 7:30 in the Seddon Recital Hall at UIW. We are still accepting applicants for the three performing slots. We will choose three groups on Monday, April 10. Students are also encouraged to attend as observers. One performing group maybe selected to open our season finale concerts April 28-30! Just like we did last year, we will be hosting a FREE masterclass for area HS string quartets who are preparing for state UIL competition! One participant group may even be selected to perform on our season ender concert at the Tobin Center on April 26! There is still room on this class for more performers – please call or email to inquire. The Quartet will be working with area string student quartets preparing for State UIL Solo & Ensemble Competition on May 17 at the Radius Building. Performers from Jay, Churchill, O’Connor and Taft High Schools as well as the Northeast School for the Arts will perform works by Dvorak, Haydn, Glazunov and Borodin and the musicians of Camerata San Antonio will share their expertise to help them make their performances even better. The class is free for the performers and audience members alike.